Marian Farrell passed away peacefully on March 23, 2019 while under the supportive and compassionate care of Marla Vista Memory Care and Heartland Hospice. Marian was born to Constant and Fannie Johnson on March 26, 1929 in Green Bay. She graduated from St. Joseph Academy High School in the class of 1947. Marian married Patrick Farrell on September 2, 1948 at St. John Catholic Church. Together they welcomed daughter Julie in 1952. They were married for 67 happy years before Patrick’s passing in 2016. “Grandma Mur” adored her grandchildren and great-grandchildren and thought they were perfect. She would light up whenever she saw them and always spoiled them rotten. One of Marian’s favorite pastimes was playing bridge with her high school friends, Dawn Delacenserie, Phyllis Nocenti, and Ruth Draheim. She always called it “Card Club with the Girls,” even when “the girls” were in their eighties. Marian is survived by her loving family; daughter Julie Bertrand, grandson Michael (Laurie) Bertrand, granddaughter Amy (Ryan Reszel) Bertrand, and great-granddaughters Autumn and Megan Bertrand. She is further survived by her brothers-in-law John (Elaine), Mike (the late Jane), Jeremiah (Jean), and Gary (Shirley) Farrell, and many loved nieces, nephews, friends, and neighbors. 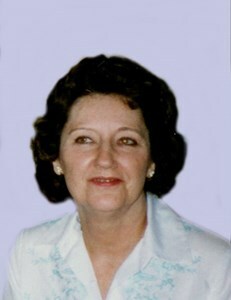 Marian was preceded in death by her husband Patrick, her son-in-law Steve Bertrand, brothers Wallace, Constant Jr., Milton and Bob (Berty) Johnson, brother-in-law Tom (Jean) Farrell, sister-in-law Dorothy (Joe) Obecunas, and dear friend Margaret Cornette. Marian was a strong woman, a tough old Belgian, and did things her way. The family will honor her wish to be cremated and have no formal service. Newcomer Cremations, Funerals & Receptions of Green Bay has been entrusted with arrangements. The Bertrand family would like to extend their gratitude to the wonderful staff at Marla Vista Memory Care for taking such good care of Marian and Pat. Special thanks to Brenda for all of her help. Also special thanks to Heartland Hospice, especially Marian’s nurse Joanne, for their care and support. To share a memory of Marian with her family please click on the share memories button above. Add your memories to the guest book of Marian Farrell. I was sorry to read of Marian's passing. However, it brought back fond memories of many good times Mary and I shared with Marian and Pat and the rest of the "Academy Girls" gang. Treasure your special memories and keep them close to your heart. Julie, I am so sorry to hear about the death of your Mom. She was a very special lady. I liked how you referred to her as "a tough old Belgian". She did things her way. I have not seen her in a long time. Would love to hear from you sometime. I think she might be the last of my cousins on my Dad side of the family.